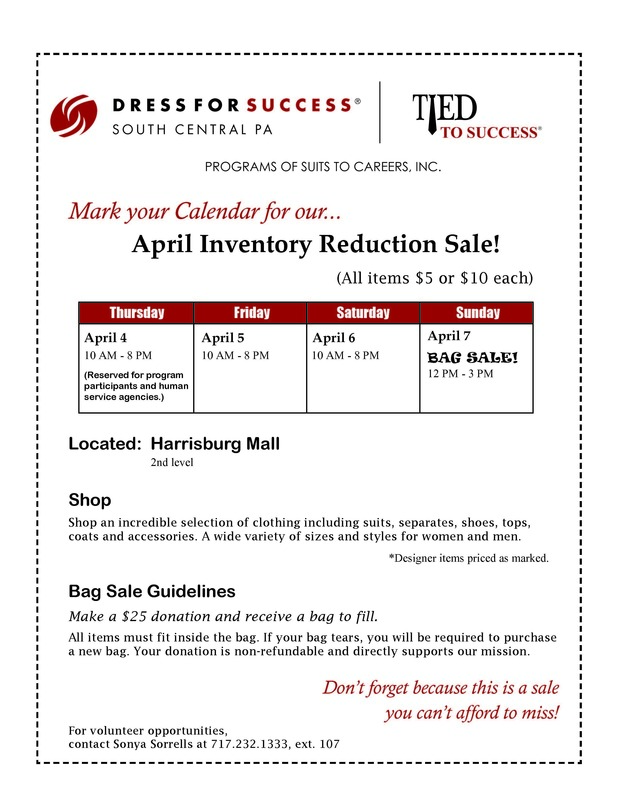 Mark your calendar for the April Inventory Reduction Sale! Shop an incredible selection of clothing including suits, separates, shoes, tops, coats and accessories. A wide variety of sizes and styles for women and men. All items are $5 or $10 each. 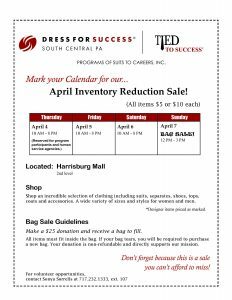 *Designer items priced as marked.